I am sure Clash for Speed Android game will be the next favorite title for the mobile gamers. I am pretty addicted to the game, and always play it whenever I find some time. I will recommend you to at least try out the game. What’s better than playing some cool games, after a heavy day’s work. For some gaming is a hobby, while it is a passion for the rest. Everybody has their own catalog of favorite games. Even I have it. But recently, I added one more feather to the cap with the Clash for Speed by Tweaking Technologies, which is pretty cool and comes with a unique concept. It is almost a week that I am playing the game, and the game is really addictive. 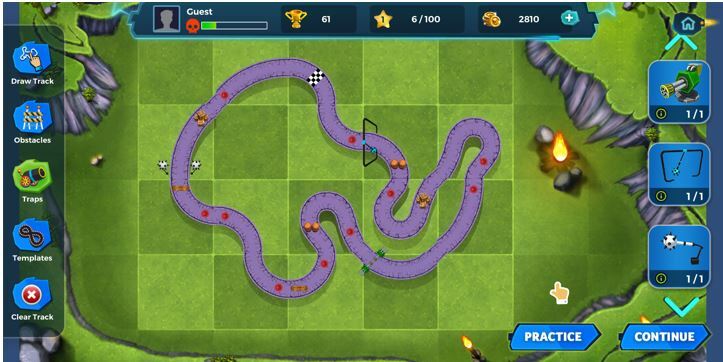 Clash for Speed is a fast-paced racing game, where you will have to race against some other vehicles. But there are some twists, which make the game more than just racing. It is a kind of combat racing, which make the game a blend of both a fighting and a racing. Clash for Speed Android game actually offers the best of both worlds. The game is still in its development stage, which means there will be more features and improvements are yet to come. After playing the game for a week now, I am writing a brief review of the game. The game also requires some improvements, which I will also discuss in this brief review. So hold back your breath, read the review, and download the Android version of the game from here. Let’s first have a look at the features of the game. There are 15 levels for racing as of now, which are divided into 5 landscapes, and each of the levels come with increasing difficulty levels. There are 8 vehicles for racing, as of now, and each of the vehicles has a varying look, varying speed and acceleration, and varying combatting abilities. Users can visit the garage to upgrade the vehicle and unlock new vehicles. The game comes with 10 weapons for combat at the time of racing. Each of the weapons is completely different and has varying powers and abilities making them completely unique. There 5 kinds of obstacles and 8 kinds of traps, which can be found on the tracks. The player should have different strategies ready to deal with each of them. 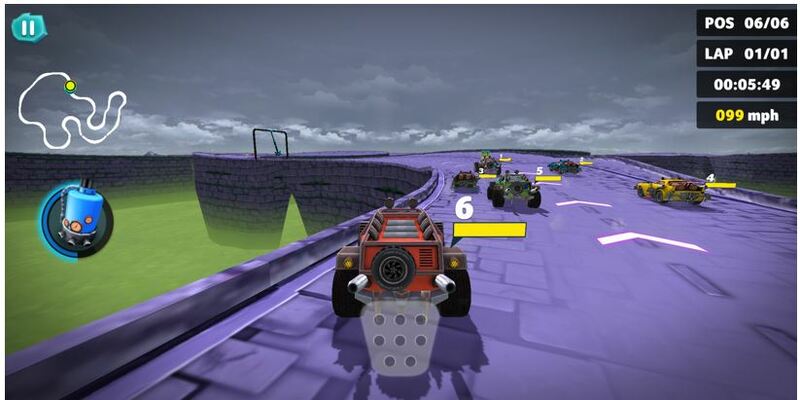 The unique feature of the game is the ability to build custom tracks with custom traps and obstacles. This makes the game more challenging and fun. You can play it offline too and no need to download additional files like other heavy racing games after download from Google play store. Clash for Speed is just a racing game with combat on top of it. The objective of the game is to surpass the opponents and become the first. Just like other racing games. 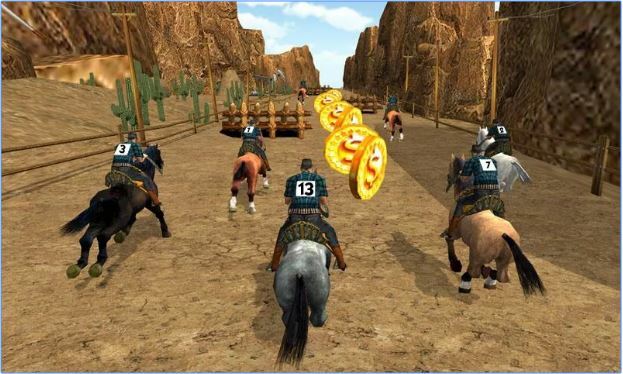 While in the track, the opponents, as well as the player, should get over some obstacles and traps to win. Apart from that, there will be multiple pickups on the track, which can fetch different weapons and shield to attack other players or for protection from weapons fired by the opponents. All these things make the game really interesting and addictive. Now let’s have a look at the things and features, which I liked about the game. 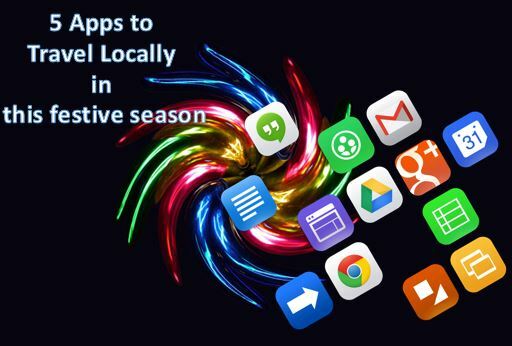 The game has support for Google Play Games, which means, more useful features can be available in the game after the stable release. Not very resource consuming. The game offers fluent graphics on different kinds of devices. I tried the game on two devices with different SoCs, (one average and one mid-range), and the performance was almost the same on both the two. No unnecessary things in the game. Just purchase or upgrade vehicles, and start racing. Or you can design your own tracks and show off your skill on them. Has 2 control schemes. The direction of the vehicle can be controlled with the accelerometer or by tapping the left and right side of the screen. The game offers some in-app purchases, and Google Play Store says, the game is ad-supported. But even if the user doesn’t make any purchase, no ads are shown. Thus, enjoy the breathtaking ad-free gameplay. Though, ads might be shown after the stable version is released. The size of the game is very small. The size of the download is almost 137 MB, and after installation, it took around 180 MB. Thus the game is not consuming a huge space, even after offering a better than decent gameplay. Now those were the things I liked, in a nutshell. Though the game is great, I also expect a few more features and modifications in the game. As the game is still in the development stage, I wish, the developers of the game add those features before the final release. There isn’t any multiplayer option till now. 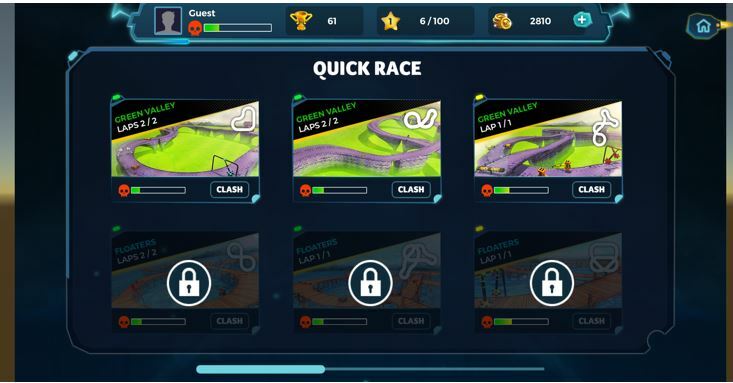 Clash for Speed is really an amazing game, and if the multiplayer feature is added to the game, it will surely be a big addictive gaming title. Even if online multiplayer is too big to expect feature at this stage, I wish there is a local multiplayer option. There is no cloud backup. I wish there is a cloud backup option to make the users enjoy the game on different devices, and start playing the game from the point they left, on a new device. The number of tracks and vehicles is pretty limited, as of now. But I expect Tweaking Technologies, the developer of the game to add more tracks and landscapes before the final release, or just after the final release. 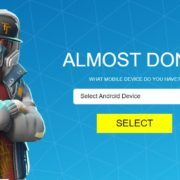 Though not every player plays Android games with a keyboard, the option for keyboard gameplay is not supported as of now. I didn’t find any option for controller settings. I wish the final release of the game comes with controller support. Though I won’t complain about the gameplay, I faced some very minor frame drops and choppiness at the beginning of a race. Though such things have chances to get improved in the final release. The wreck duration is pretty long. It means the user will have to wait a few seconds before coming back to the arena after a wreck. I will expect Tweaking Technologies to reduce the wreck duration. The wreck duration might not be an issue for multiplayer gaming, but it matters a lot while playing the game locally, as the opponents outpower the player. The game is really an amazing one with a cool concept. Even though the game requires some improvements, being at this stage of development altogether, but I didn’t find any annoying disturbances in the game. As the game is still in development stage, the areas for improvement should never be considered cons. If the improvements are made before the final release, I am sure the game will be the next favorite title for the mobile gamers. I am pretty addicted to the game, and always play it whenever I find some time. I will recommend you to at least try out the game. Who can say, Clash for Speed can be your next favorite gaming title! Hope you enjoyed the short review of the Clash for Speed game. Have questions? Feel free to comment it down below, and let me know how you felt after playing the game.